Ivanka is planning to take a trip to Germany. She probably has not been to the concentration camp in Gaza; she almost certainly has not seen mass graves in Russia, despite the fact that the real Holocaust during World War II arguably happened there. Ivanka is going to Germany for worship. Yes, you’ve read that correctly—and she is going to bow down to the only Holocaust in human history. Forget about Palestinian women and babies who are being tortured and liquidated by the Israeli regime almost every day. Forget about the concentration camp known as Gaza. Ivanka has to make a pilgrimage to the only sacred place in the universe. Why? Well, because the Holocaust, as Israel Shamir points out, “replaces Christ with Israel, Golgotha with Auschwitz, and the Resurrection with the creation of the Jewish state.” Gilad Atzmon likewise declares: “To a certain extent, we are all subject to [the Holocaust] religion; some of us are worshipers, others are just subject to its power.” The Atlantic declared last year that “Ivanka joined a distinctive Jewish world” in 2009, so she obviously has to go all the way. Is that really fair? Krauthammer understands that there is something called double standard, but he cannot apply a consistent standard because the so-called Holocaust morally and intellectually cripples him. For example, he knows that more than forty million people were executed by the Bolshevik or Stalinist regime. He knows that the regime was overwhelmingly Jewish, and he knows that there has not been a single museum in the Western world dedicated to those people. But Krauthammer and the rest are telling us all that “the Holocaust” is unique. Can you imagine a bomb being detonated in a place like Paris and then just 10 people happen to be dead? What would the entire world say? Terrorism, right? But when we carpet-bomb one village after another in the Middle East, then it is justified because we are fighting terrorism. We are the good guys! What’s so funny about all this is that some mush-heads will get into the political platform and say really dumb things such as “they hate us because of our freedom.” Well, ethnic cleansing is real; concentration camps in Gaza are real. And until we stop fooling ourselves, we will always pay the consequences. 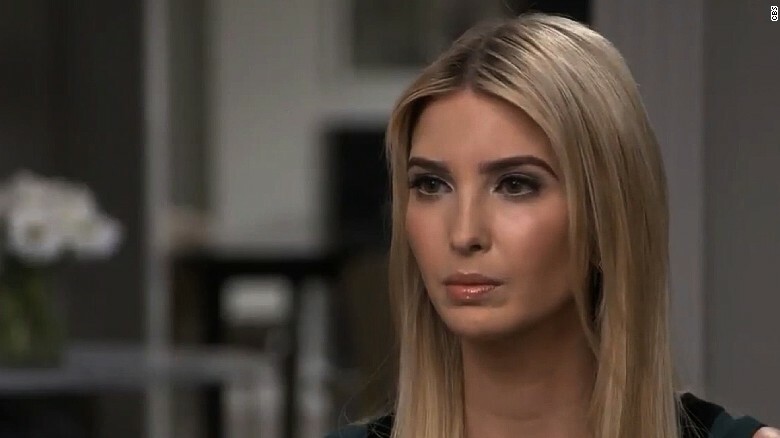 Nikki Schwab, “Ivanka is officially ‘First Daughter’ as White House reveals full plans for German trip where she will mourn Holocaust victims,” Daily Mail, April 21, 2016. Emma Green “What Should American Jews Make of Ivanka Trump?,” Atlantic, September 4, 2016. Molly Hennssy-Fiske and W. J. Hennigan, “Civilian casualties from airstrikes grow in Iraq and Syria. But few are ever investigated,” LA Times, April 21, 2017.